How should we approach cultural diversity in the workplace ? Multinational corporations, transnational project teams and glocalised production and distribution processes raise challenging issues for communication and PR professionals. The complex nature of these communication processes often shows that existing models of cross-cultural or intercultural communication are inadequate to allow researchers or professionals get to grips with the complexity of the interactions encountered. 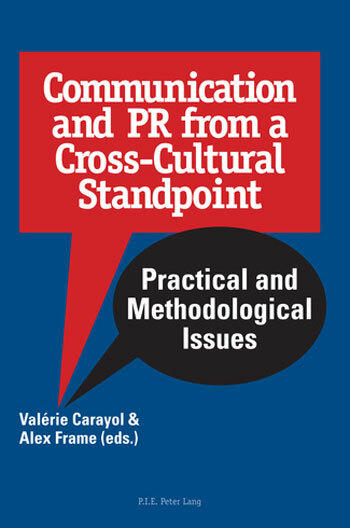 This book aims to pinpoint and address the apparent limits of many traditional intercultural communication research methods when they are applied to real situations in today’s hybrid and cosmopolitan global organisations. Written by distinguished scholars from around the world, the chapters challenge traditional ways of thinking and established academic categorisations. The chapters are structured around three main lines of questioning: how can we approach multicultural teambuilding situations where culture is a multi-faceted and multi-level dynamic construct linked to identity and experience, rather than ‘simply’ a question of national habitus ; how can we study emerging concepts, categories and practices in such situations using culturally sensitive qualitative research methods ; and how can we approach the field of PR from very different cultural standpoints ?